Brockliss, L. W. B., and Colin Jones. 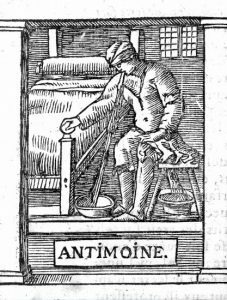 The Medical World of Early Modern France. Oxford: Clarendon Press, 1997. 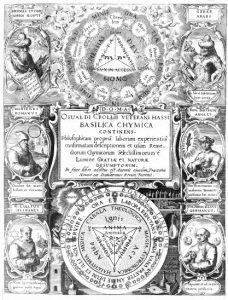 Debus, Allen G. The Chemical Philosophy : Paracelsian Science and Medicine in the Sixteenth and Seventeenth Centuries. 2 vols. Mineola, N.Y.: Dover Publications, 2002. Evans, Robert John Weston, and中野春夫. 魔術の帝国 : ルドルフ二世とその世界. 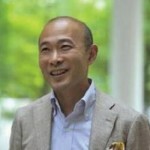 ちくま学芸文庫. 筑摩書房, 2006. French, R. K., and A. Wear. The Medical Revolution of the Seventeenth Century. Cambridge University Press, 1989. Hirai, Hiro. “Bodies and Their Internal Powers.” In A Companion to Sixteenth-Century Philosophy, edited by Henrik Lagerlund, 394-410. London: Routledge, 2017. Johansen, Jens Chr V., “Holy Springs and Protestantism in Early Modern Denmark: a Medical Rationale for a Religious Practice”, Medical History, 41(1997), 59-69. Moran, Bruce Thomas. 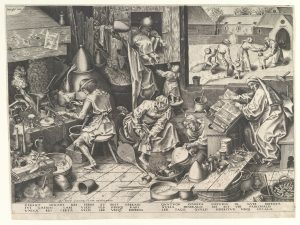 Distilling Knowledge : Alchemy, Chemistry, and the Scientific Revolution. New Histories of Science, Technology, and Medicine. Harvard University Press, 2006. Pagel, Walter. 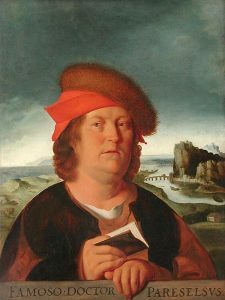 Paracelsus: An Introduction to Philosophical Medicine in the Era of the Renaissance. 2nd, rev. ed. ed. Basel ; London: Karger, 1982. Paracelsus, Jolande Székács Jacobi, and 博司 大橋. 自然の光. 人文書院, 1984. Paracelsus, C. Lilian Temkin, and Henry Ernest Sigerist. 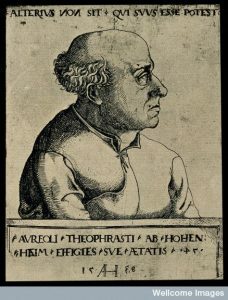 Four Treatises of Theophrastus Von Hohenheim, Called Paracelsus. Johns Hopkins University Press, 1996. Trevor-Roper, Hugh, “The Paracelsian Movement”, in Renaissance Essays (London: Secker & Warburg,1985), 149-199. Trevor-Roper, H. R. Europe’s Physician : The Various Life of Sir Theodore De Mayerne. New Haven, Conn. ; London: Yale University Press, 2006. Wallis, Patrick, “Exotic Drugs and English Medicine: England’s Drug Trade, c.1550-c.1800”, Social History of Medicine, vol.25, no.1, 2012: 20-46. Wear, A., R. K. French, and I. M. Lonie. 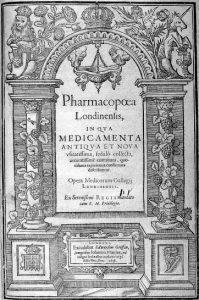 The Medical Renaissance of the Sixteenth Century. Cambridge: Cambridge University Press, 1985. Wear, A. Knowledge and Practice in English Medicine, 1550-1680. Cambridge: Cambridge University Press, 2000. Webster, Charles. 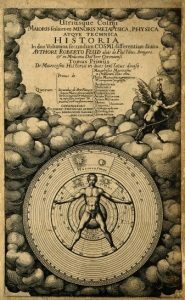 The Great Instauration : Science, Medicine and Reform, 1626-1660. Duckworth, 1975.